27 members attended today’s meeting. Guests were our speaker, Paul Sally; Liz Taylor’s guests, Jim Corboy, and Larry Dickman; Brian Schiller, head of marketing for the Community House; and Tim Sloh from the Village of Winnetka. Birthdays this week were Bob Sanfilippo and Markie Gekas. 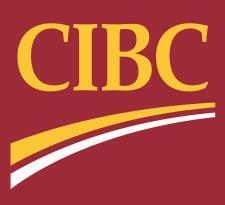 Anniversaries were Bob Thomas, 1 year, and Christina Gikas 1 year. 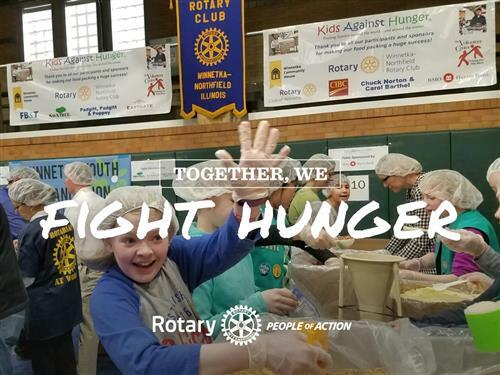 Announcements: February 2nd is a Rotary Regional Seminar- all are invited; February 17 features Random Acts of Kindness; March 16 is Kids Against Hunger; June starts our participation at the Winnetka Farmers Market; Save June 1st on your calendars for our annual summer event. Possible new events include a Poker Night and 4th of July Parade float. Barb Tubekis thanked everyone who participated in the Martin Luther King Jr. day events. A grand time was had by one and all. President Leske asked us to think good thoughts for Jean Wright who was in the hospital and is now in a rehabilitation facility in Sarasota and for Patti Van Cleave who was in the hospital but is now recovering at home. Dig and Grin: Leo Padgett entertained us with math jokes in honor of our speaker. Today’s speaker: Dr. Paul Sally, Superintendent of New Trier High School District 203, was introduced by Wes Baumann. Dr. Sally has spent the last 25 years in District 203 with 19 of those years in the classroom absorbing the wonderful energy created by the students. Dr. Sally said the New Trier East building was a wonderful metaphor for the School district itself, It has the old side and the new side and a futuristic glass section in the center. The district has been working on a new strategic plan that will honor the past and be innovative as it looks to the future. Just as in 1901, our community still wants a high school so good that nobody will want to send their children to a private school. To make sure that pledge and all community support is honored, New Trier must today and in the future insist on innovation and leadership. Dr. Sally then showed a 3-minute video called the Future of Work where, companies are experimenting with robots and artificial intelligence completely changing the work environment. Education must respond to changes in the work environment by teaching students to think critically and be able to adapt to change while at the same time retaining the humanity that allows us to work together as a community. Dr. Sally then handed out a draft folder of the strategic plan for New Trier 2030. There is a Mission: “To commit minds to Inquiry, hearts to compassion and lives to the service of humanity.” There is a vision: By creating a culture in which students discover purpose in their intellectual, creative, social, and interpersonal endeavors, we will develop in every graduate the skills and dispositions to lead meaningful, compassionate, and impactful lives. A process for reaching these goals was set forth in a set of six initiatives with core values and goals as more fully set forth in the brochure. 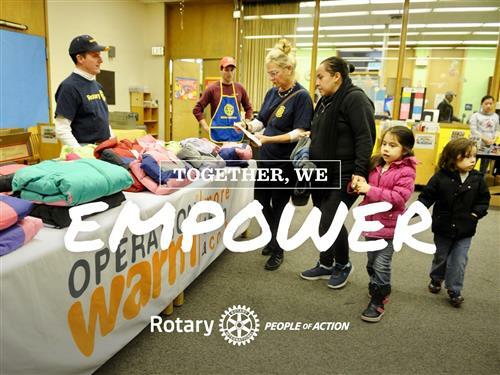 During the question and answer period, Rich Lalley asked what can the 4 Rotary Groups in New Trier 203 do to help? Dr. Sally said that kind of a response is what makes District 203 great. He said he would be back to Rich after a bit more reflection.